March means that tarpon season is just getting started here in SW Florida. 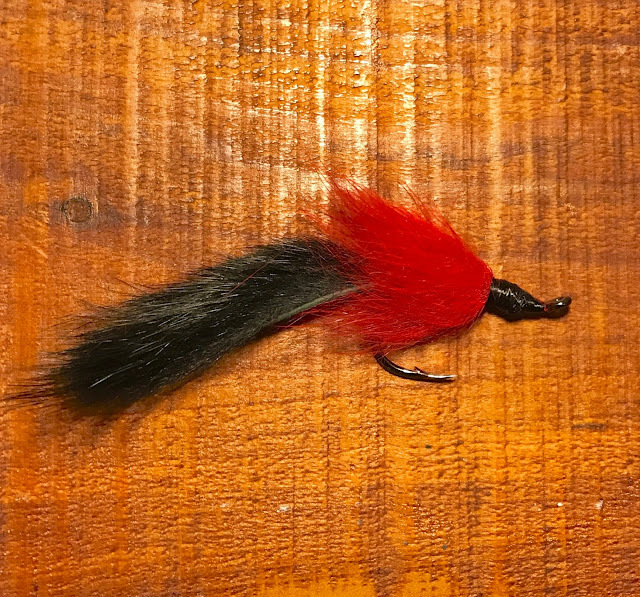 Over the past 20 years I’ve caught these fish on a variety of different flies but my go-to pattern for most of that time is the very simple red and black Tarpon Bunny. This fly has worked for me in all depths of both dark and clear water from Puerto Rico to Tampa Bay. I estimate that 80% of the silver kings hooked on my boat over the last decade ate a Tarpon Bunny. The history of this fly is a bit unclear but it’s been around since the mid-1970s. The Tarpon Bunny is nearly identical to some of the rabbit fur leech patterns used by fresh water salmon anglers for over a century. 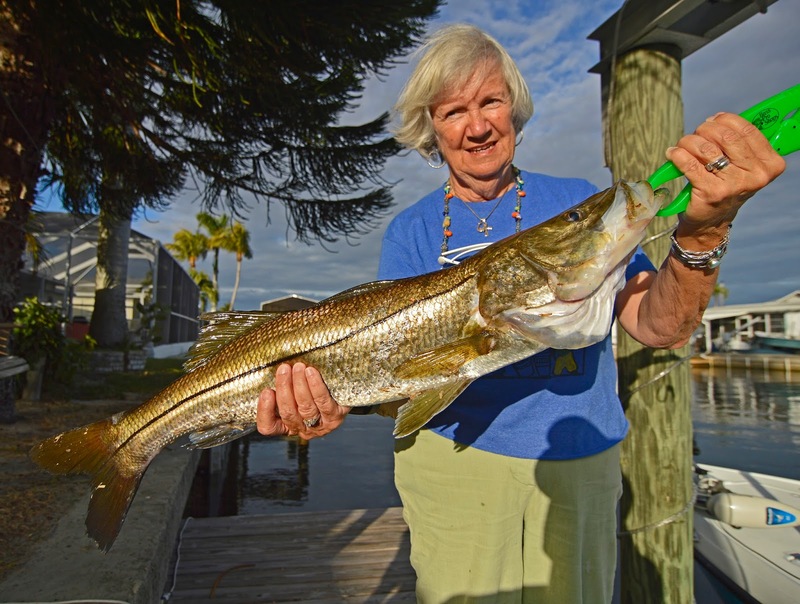 It’s a fair bet that the prototype came to Florida by way of an Alaskan fly box. The Bunny’s success on our fish was almost a sure thing, given the way rabbit fur undulates through the water in a near perfect imitation of a palolo worm, the tarpon’s favorite food. 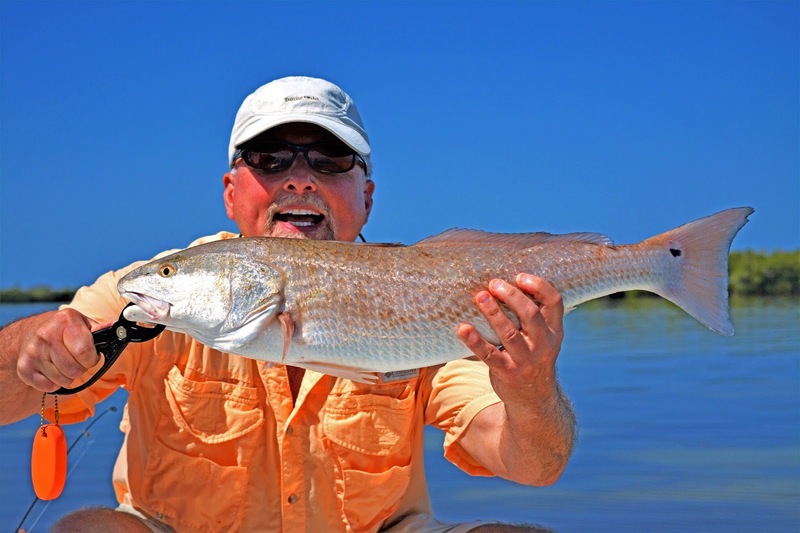 As with most saltwater patterns, color choices for these flies are almost unlimited. Red and black was the first combination I saw and was thrilled by how easily visible it appeared in the water. I’d been using mostly natural colored shrimp imitations, like the famous Cockroach pattern, that tended vanish below the surface. With my anglers casting darker Tarpon Bunnies, I could keep track of the fly the entire time and more accurately help them get it in front of the fish. Over the years I’ve used this pattern in dozens of different color schemes but red and black remains my first choice, with red and purple a close second. The other thing that attracted me to the Tarpon Bunny was how easy it is to tie. It’s basically two pieces of rabbit fur on a hook. The darker colored tail is 3” of Zonker strip and the collar is the same length of cross-cut rabbit fur wrapped toward the hook eye. A few dozen wraps of flat waxed nylon thread is enough to finish off the head. Some folks like to bulk that up a bit more to add painted or glued-on eyes, and they’ll also put some Krystal flash into the tail. I rarely add either because I’m a bit lazy but it certainly won’t hurt the fly’s appeal to a hungry fish. As with every other pattern known to man, you’ll find several videos on YouTube showing you exactly how to tie a perfect Tarpon Bunny. On a final note, the only hook I use for these flies is the the Owner SSW Cutting Point in size 2/0 or 3/0. These are sold as a live bait hook but are perfect for this fly. As most anglers know, a tarpon’s mouth is about as soft as a cinder block. It’s basically skin over solid bone with lips that feel like 120 grit sand paper. It takes an extremely sharp hook to penetrate that and the chemically treated Owners are weapons when fresh out of the pack. More importantly, they’re made of non-stainless steel and will corrode after a few days of saltwater exposure. This is VERY important since we break off a lot of flies when tarpon fishing. A stainless steel hook will stay in their mouth or throat forever and could eventually kill the fish. Tarpon are a very tough animal; they were in the ocean back when the Tyrannosaur was on the land. They can also live as long as a human and as the old saying goes, “They’re too valuable to only be caught once.” Fight them hard and let them go unharmed. Hope this helps and good luck out there. I took this shot almost two weeks ago on my buddy Capt. Eric Wrenn's boat when we decided to go looking for tarpon in late February. We found quite a few big fish cruising in 69 degree water but didn't hook any. What was most impressive was the clarity of the water all over the northern end of Pine Island Sound and the south part of Charlotte Harbor. I'd been spending the winter just off Matlacha chasing redfish by the hundreds and was happy to be reminded how much our deeper water can look just like the Keys this time of year and how productive it can be.